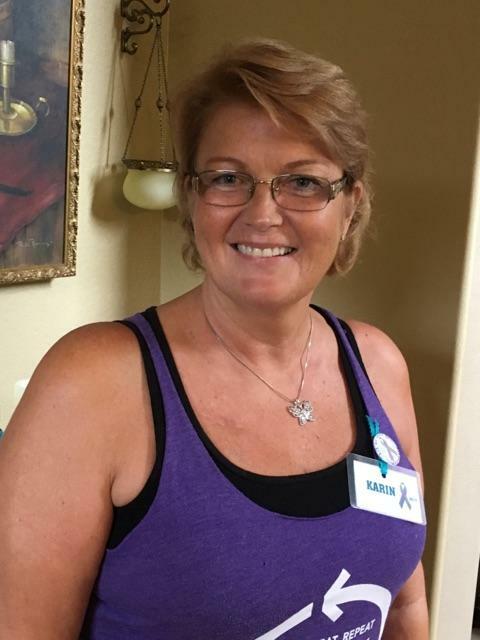 Karin Petrocelli is bringing together women from across the country to raise awareness of the often overlooked form of cancer. The bell was supposed to be celebratory. But for Karin Petrocelli, it tolled merely a dark and sad reminder of her fate. In May 2012, Petrocelli was diagnosed with stage 4, or metastatic breast cancer. She’d just turned 50, just run a half marathon, and was living under the assumption that breast cancer was a closed chapter in her life. In 2007, she was treated for early-stage breast cancer, had a mastectomy and was told she’d beaten the disease. With a husband and four girls to look after, Petrocelli didn’t look back. Why would she? Her doctors, she says, never talked about the 30 percent of early-stage patients whose cancer will return in its most deadly form. And when it does, Petrocelli learned, the implications go far beyond the inevitability of death, the sorrow of telling loved ones and the life-altering side effects of the medications. Women with metastatic breast cancer report a kind of societal shunning, from the organizations that ostensibly work on cancer patients’ behalf to a medical community that neither understands the disease’s course nor the physical/psychological/social toll it takes. “When they have these (cancer support group) meetings, nobody wants to hear your story because they’re afraid of you. You don’t have anything to celebrate like they all do. You feel very lonely. I like to say I feel like the elephant in the room,” she says. Ditto for breast cancer walks—all those pink bras and victorious T-shirts. And ditto for those fundraising organizations that focus on early detection, that celebrate recovery, that paint the world pink every October—but that don’t pump money into metastatic breast cancer research. Data compiled by one organization, METAvivor, suggests that 30 percent of breast cancers will metastasize, but 2 percent of research funding goes to stage 4 cancer. Petrocelli, who’s lived well beyond the typical life span (the American Cancer Society puts the five-year relative survival rate at 22 percent), is not one to be written off. And so, from her home in Bella Terra, she’s pushing to improve the lives of women like her and is planning a fundraising gala this March to generate money for research.